Today, the First Amendment Center of the Newseum Institute released the results of its State of the First Amendment survey, which examines Americans’ views on freedom of religion, speech, press, assembly and petition, and samples their opinions on contemporary First Amendment issues. The survey, conducted this year in partnership with Fors Marsh Group, an applied research company, has been published annually since 1997, reflecting Americans’ changing attitudes toward their core freedoms. The results of the 2017 survey show that, despite coming out of one of the most politically contentious years in U.S. history, most Americans remain generally supportive of the First Amendment. When asked if the First Amendment goes too far in the rights it guarantees, 69 percent of survey respondents disagreed. However, there are ideological divisions in attitudes toward the First Amendment, with liberals and conservatives disagreeing on the amount of protection the First Amendment should provide in certain scenarios. Conservatives were more likely than liberals to believe that those who leak information should be prosecuted and that the government should be able to hold Muslims to a higher level of scrutiny. However, liberals were more likely than conservatives to think that colleges should be able to ban speakers with controversial views. This year, 43 percent of Americans agreed that news media outlets try to report the news without bias — a significant improvement from only 23 percent in 2016. However, a majority of Americans (53 percent) expressed a preference for news information that aligns with their own views, demonstrating that many Americans may not view “biased” news in a negative light. The 2017 survey also attempted to assess the impact of the “fake news” phenomenon. Approximately 70 percent of Americans did not think that fake news reports should be protected by the First Amendment, and about one-third (34 percent) reported a decrease in trust in news obtained from social media. Regarding freedom of religion, 59 percent of Americans believe that religious freedom should apply to all religious groups, even those widely considered as “extreme” or fringe. The age group least likely to agree with this is Americans between the ages of 18 and 29: Just 49 percent of them supported protection for all religious faiths, compared to over 60 percent for every other age group. On free speech, 43 percent of Americans felt that colleges should have the right to ban controversial campus speakers. Those who strongly agreed or disagreed with this tended to be current students and/or activists (people who had participated in political actions over the past year, such as signing a petition or attending a protest) on both sides of the political spectrum. Other Americans — even those in the 18 to 29-year-old millennial demographic — were more lukewarm on this issue. The 2017 survey was conducted and supported by Fors Marsh Group, and contributing support provided by the Gannett Foundation. The Newseum Institute’s First Amendment Center is a forum for the study and exploration of issues related to free expression, religious freedom, and press freedom, and an authoritative source of information, news, and analysis of these issues. The Center provides education, information and entertainment to educators, students, policy makers, legal experts, and the general public. The Center is nonpartisan and does not lobby, litigate or provide legal advice. 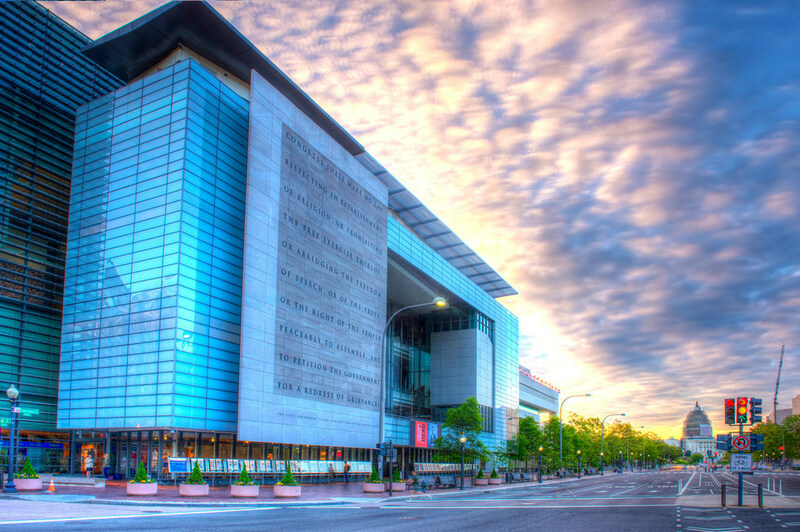 The Newseum Institute promotes the study, exploration and education of the challenges confronting freedom through its First Amendment Center and the Religious Freedom Center. The Newseum is a 501(c)(3) public charity funded by generous individuals, corporations and foundations, including the Freedom Forum. For more information, visit newseuminstitute.org or follow us on Twitter.